Just because a pie is light in calories doesn't mean it has to fall short on flavor. SparkPeople have dished up 11 Lighter Summer Pie recipes for those watching their waistlines this summer. I can't wait to try their recipe for Coconut Dream Pie, 'the most un-diet-like diet-friendly dessert ever!'. 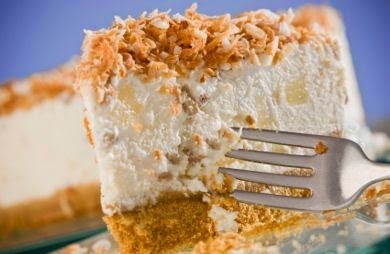 Growing up I was never a big fan of coconut but as an adult one of my all time favorite desserts is Coconut Cream Pie, and this skinny version at 170 calories a slice is worth the indulgence.